2. Click on the Communications Tab. 4. Select Membership Group button. 5. The Membership Group options will appear below. Select Programs using the check circle. 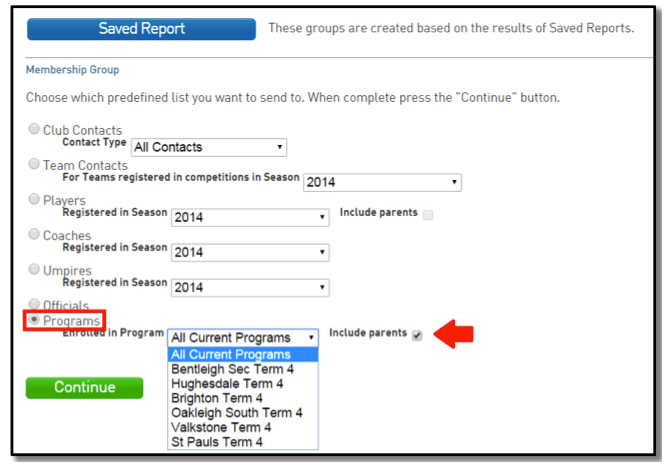 Click the Include Parents box on the right. Finally, select the program using the dropdown menu you wish to email. Select Continue. 6. The list of recipients will appear. Once you checked your recipients, click Email. 7. 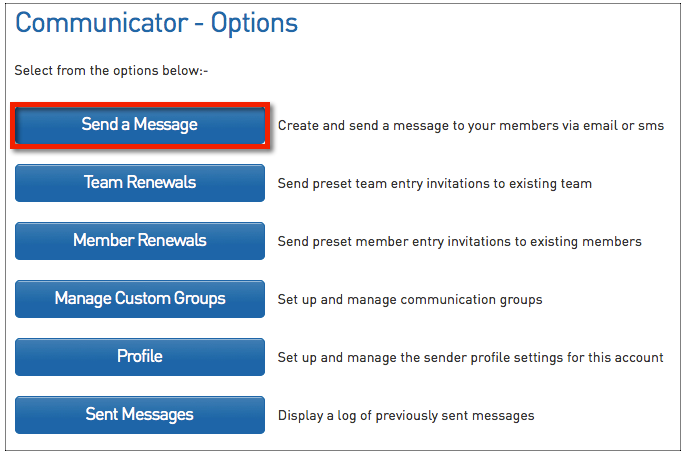 You will be taken to the “Compose Message” screen where you will simply need to add your email address to the From line, add your Subject, and enter your Message. 8. Once you are happy with your message and are ready to send, click Send Message. 9. A verification message will appear. Click on OK.
Can't resolve your issue with this article? CLICK HERE to submit a support request to your local Basketball Network representative.